The Fall 2018 Print Edition is a print edition delivered by mail in 1-2 weeks. 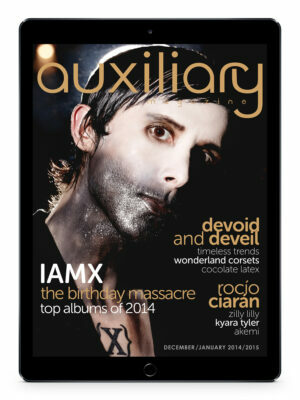 The Fall 2018 Issue is the fifty-first issue of Auxiliary, a magazine dedicated to alternative fashion, music, and lifestyle. 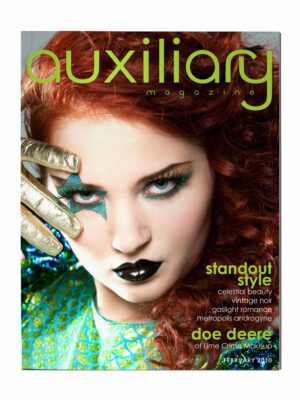 This issue features Miss Rockwell De’Vil on our cover and as our PinUp. 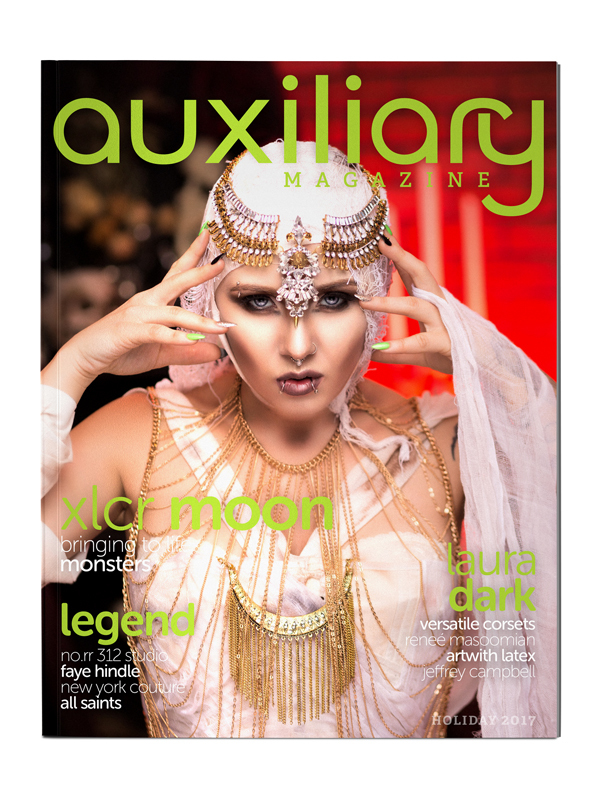 It features an interview with Adam Bravin about Cloak & Dagger, an interview with Kevin Haskins about the book Undead: The Visual History and Legacy of Bauhaus, an interview with ESA, Nina Kate, many fashion and beauty editorials, a Runway to Vanity feature. It also features Anissa Aida, Artifice Clothing, Chromat, Corset Connection, Devoid and Deveil by Chris Carrillo, Gothfox Designs, Isabella Corsetry, Jane Doe Latex, RFD by Rachel Frank, Sourpuss Clothing, Wigs and Grace, and more. 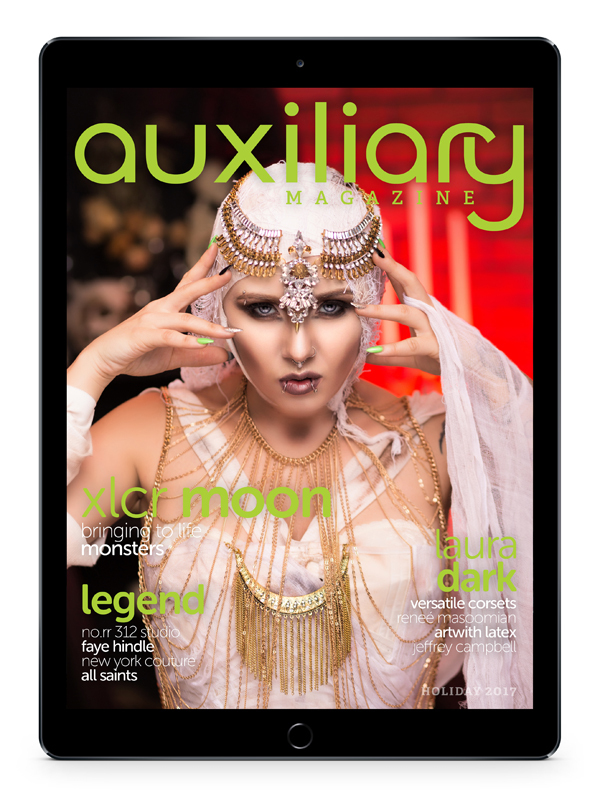 Plus photography by Le Mew Photography, Brett Stoddart, Saryn Christina, James Hayden, Laura Dark Photography, Tyler Curtis, and Myles Fearnley, media reviews, music reviews, and more!